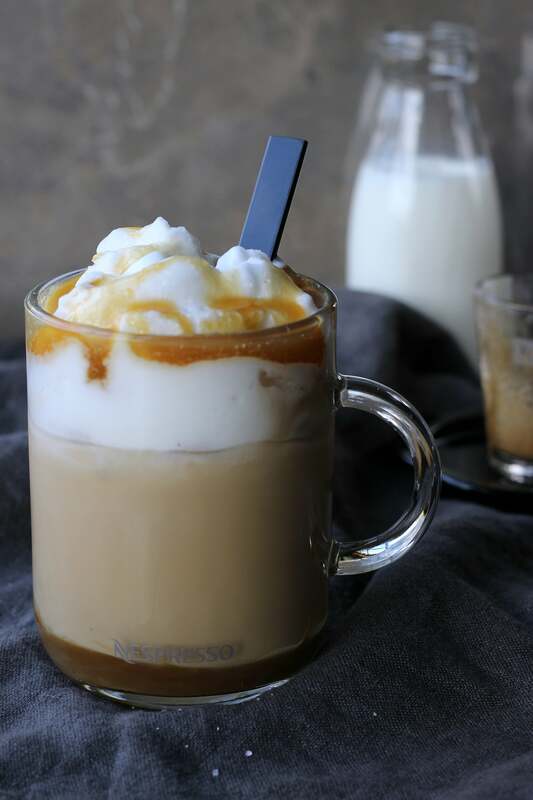 Iced Caramel Macchiato; a delicious and refreshing caffeinated beverage. Why go through long lines and pay for overpriced specialty drinks when you can make your own! I celebrated by re-creating my favorite caffeinated beverage! I mean, it’s so hard to even say these words because I love all-things-coffee, however I can never, ever EVER resist a cafè latte or macchiato. Barely any! Both Latte and Macchiato are build on milk and espresso. Latte Macchiato is more like an espresso forward latte, while Latte has a more balanced, delicate flavor… but honestly, unless you are a barista, you wouldn’t know the difference. With my Nespresso machine, there is never a bad cup of coffee. But what I love the most about this machine is that I can pretty much make any specialty drink I want (and love). Now, that’s cool! 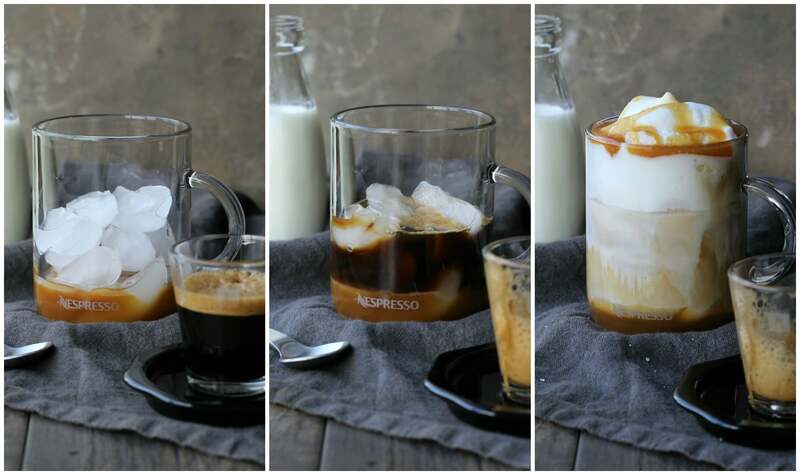 Like this delicious Iced Caramel Macchiato, which by the way… is sooooo good and easy to make, you cannot get it wrong! I think of all the money I could have saved… but then again, money spent of coffee is money well spent. 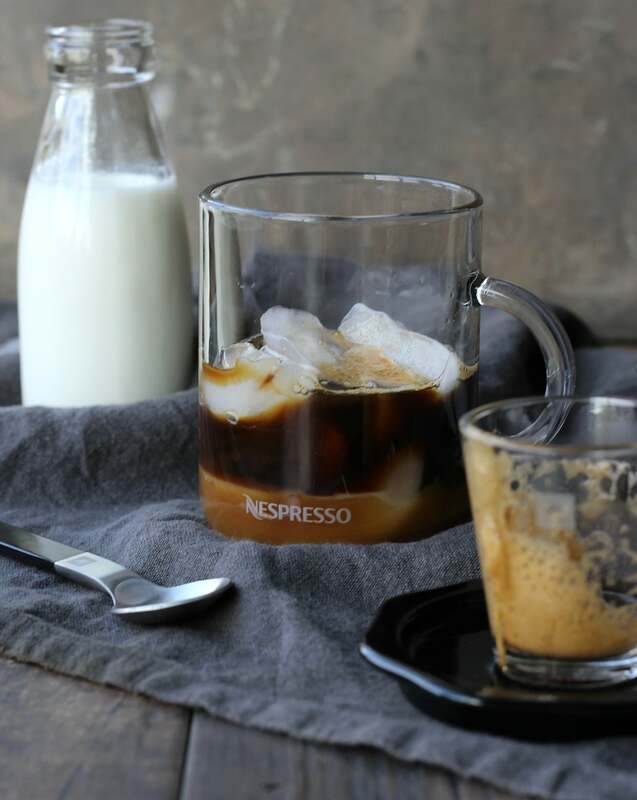 Although this recipe is simple to make, it does require an espresso machine AND a milk froth. This is the set I proudly own and used to make this recipe. 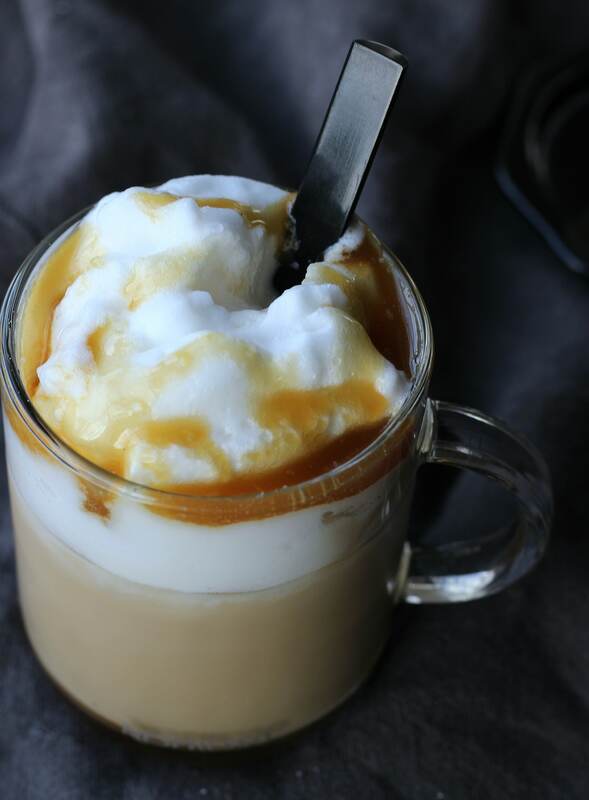 Layer one – a thin layer of top quality caramel sauce, for a rich, luscious and flavorful beverage. Layer three – espresso! I used “Altissio” which is a pretty strong roast from the Nespresso shop. Layer four – pour a generous amount of milk froth to balance the flavors. Layer five – more caramel please! and if you are feeling lucky sprinkle some sea salt for a blast of flavor. 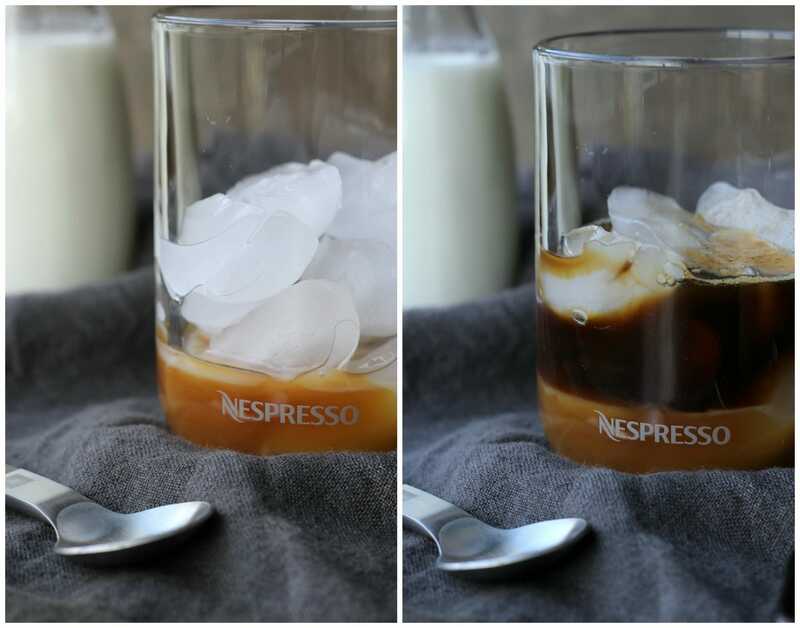 Enjoy making your own Iced Caramel Macchiato! 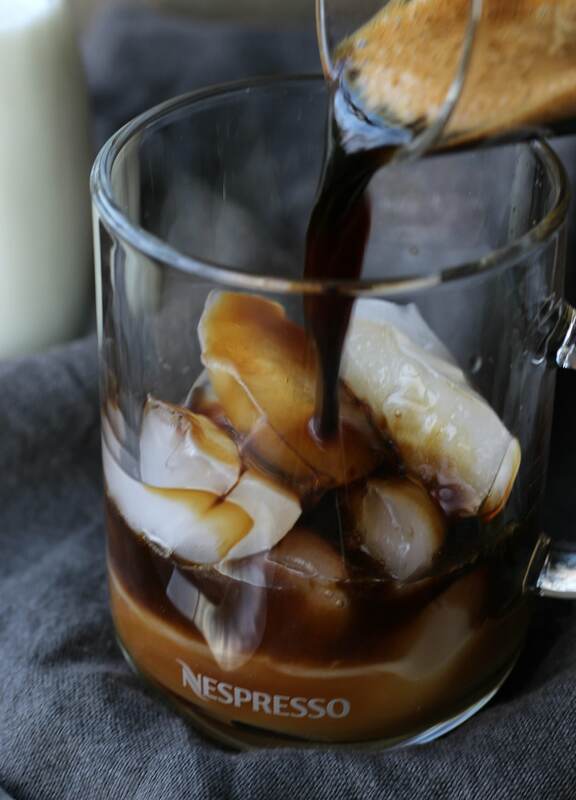 In a large mug or glass, pour the caramel then add the ice cubes. Add a shot of espresso and pour milk and froth over. Give it a little mix. Drizzle more caramel over the milk froth, sprinkle with sea salt. Enjoy!